WhatsApp is experimenting various new things like picture editor, reply, multiple forward, etc. WhatsApp has already added reply function to the top bar for any post. However, an upcoming update comes with special “Forward to..” icon, near every media files. So, the user can forward any media files quickly without moving a finger to the top bar. It does not only saves the time but also enhance the usability. Moreover, makes one hand operation comfortable. Though this future currently limited up to Beta users only. Very soon WhatsApp will be releasing it for all users. Overall WhatsApp is shaping sharing capabilities within an app. As the user can now forward multiple messages to multiple groups, contacts, etc. 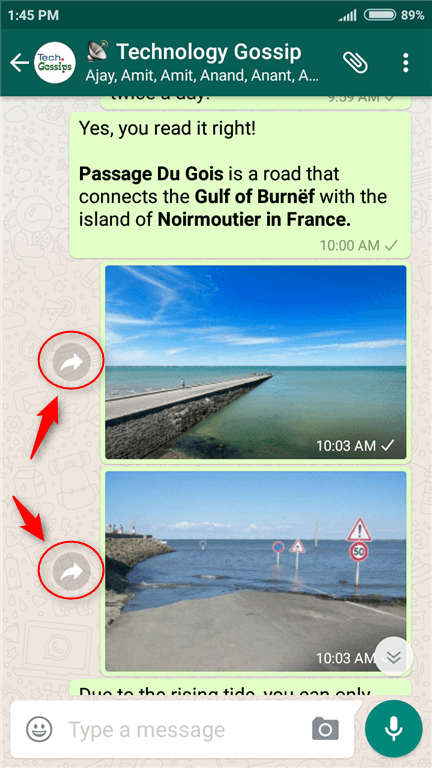 We have checked this feature on WhatsApp (Beta) on Android. Be in touch, we will showcase awesome feature of WhatsApp in coming days.